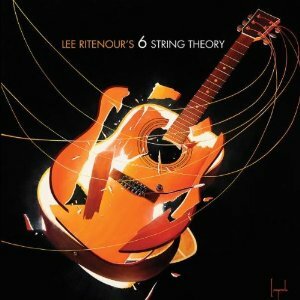 Joe makes a guest appearance on Lee Ritenour’s new CD “6 String Theory”. He plays on a track 4 “Give Me On Reason” with Robert Cray. The other special guests on the album consist of George Benson, Steve Lukather, Slash, Neal Schon, Jon Scofield, Robert Cray, Vince Gill, Keb’Mo’, Taj Mahal, Andy McKee, Mike Stern, Tomoyasu Hotei, Gutherie Govan, and Jonny Lang. This is definitely an album you want to check out. You can read the full review done by Blogcritics.org.